West Palm Beach is a popular area for locals and tourists alike. That means that keeping homes updated and in style is imperative for not only homeowners but also those that rent out their property or those looking to relocate to the area. Updated kitchens can increase the value of a home by thousands depending on what style and updates you choose. However, you can get that increased value without blowing your budget by simply refinishing the existing cabinets. Indeed, kitchen cabinet refinishing and cabinet painting in West Palm Beach, Jupiter and Pahokee are popular options for making one’s home look like brand-new. We can help to give you a fresh look and feel without overspending. Simple changes such as new paint colors and a different material can be a drastic improvement from the drab before look. Whether your existing materials are chipped, painted or old updating them can be done fairly quickly and in the color or style that will match your appliances and floors. 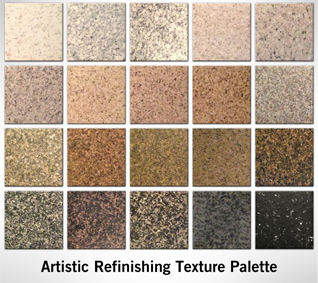 In addition to being able to choose from various colors and fixtures, we will be hand glazing in order to keep the new refinishes smooth and durable. The finish will help to keep your newly finished kitchen countertops and cabinets against normal wear and tear saving you even more money in the long run. We are here to help provide you with the best and most affordable options for refinishing your kitchen. Our experienced technicians have over 30 years of experience which will ensure we get the job done properly and quickly. You want a company that has not only the experience but are known and trusted by other individuals in the beautiful West Palm Beach and Jupiter areas, which is why we are the right company for you. Are you looking for a fresh look or need to sell your home? Regardless of the reasoning behind the change, we are here to help walk you through the process from start to finish. The first step is to contact us for a 100% accurate quote. We will need all the detailed information in which would include the size of the kitchen, the areas that you are wanting to repair or refinish and other important info. We will advise you on our suggestions, show you what options you have to choose from and the pricing for the job. This will help you to choose what styles, colors, and materials would be right for you and make an informed decision on if we are the company that can help achieve what you are looking for. We are one of the best in the business when it comes to kitchen cabinet refinishing and cabinet painting in West Palm Beach, Jupiter and Pahokee, so contact us today!